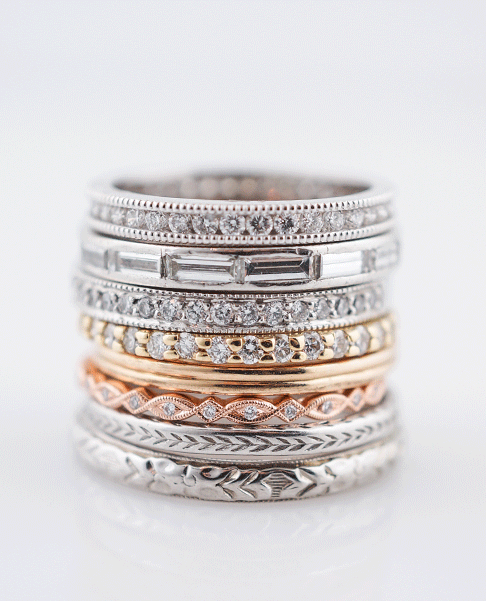 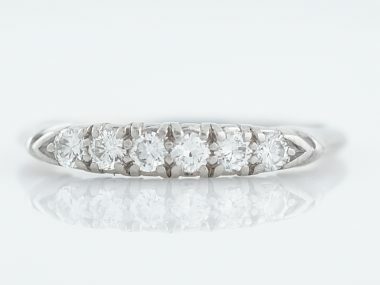 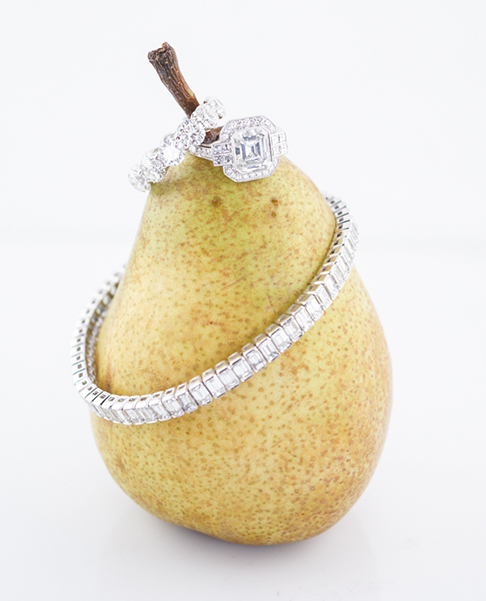 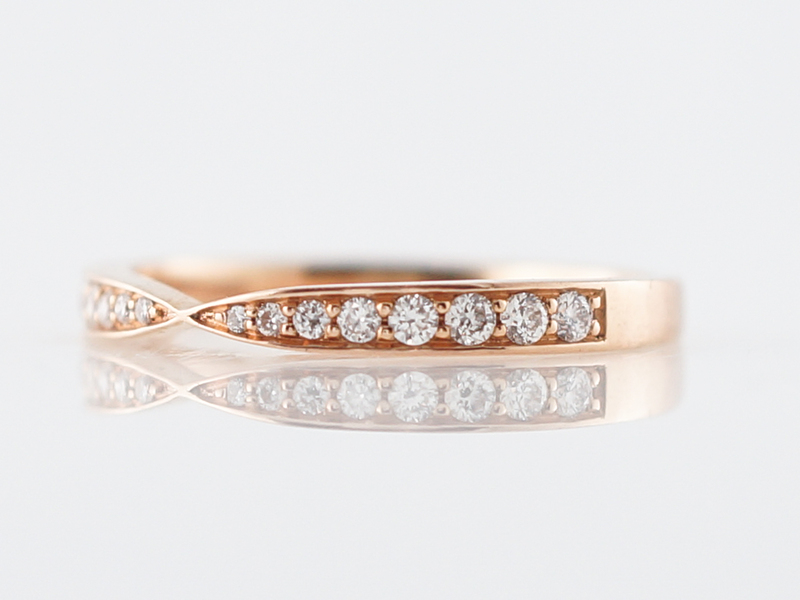 This unique wedding band features twelve round brilliant cut diamonds set across the face. 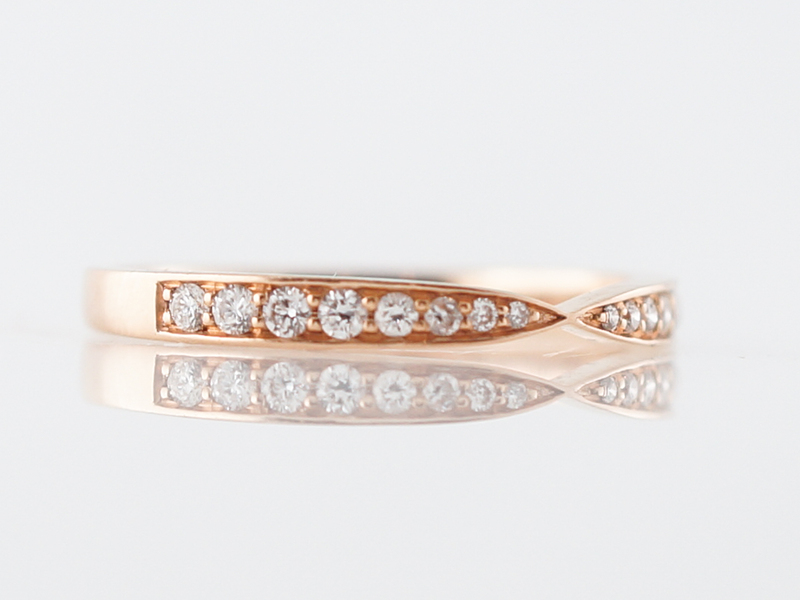 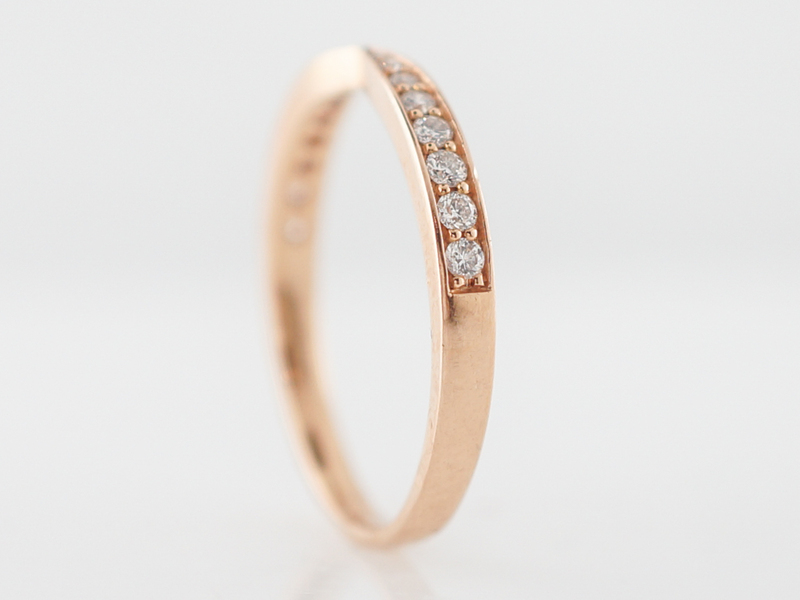 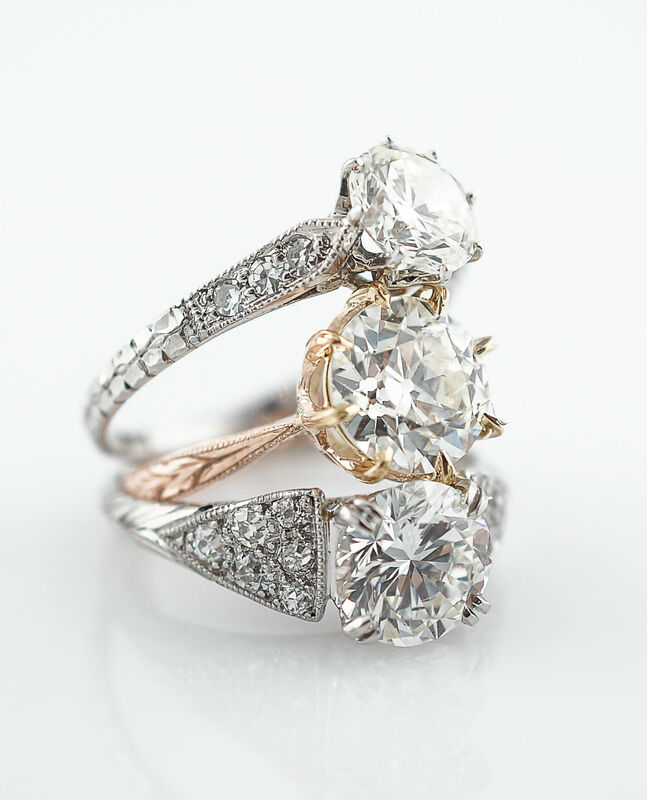 The diamonds are prong set in 14k rose gold and the top of the band is pinched in, allowing the band to snuggle flushly in next to an engagement ring. 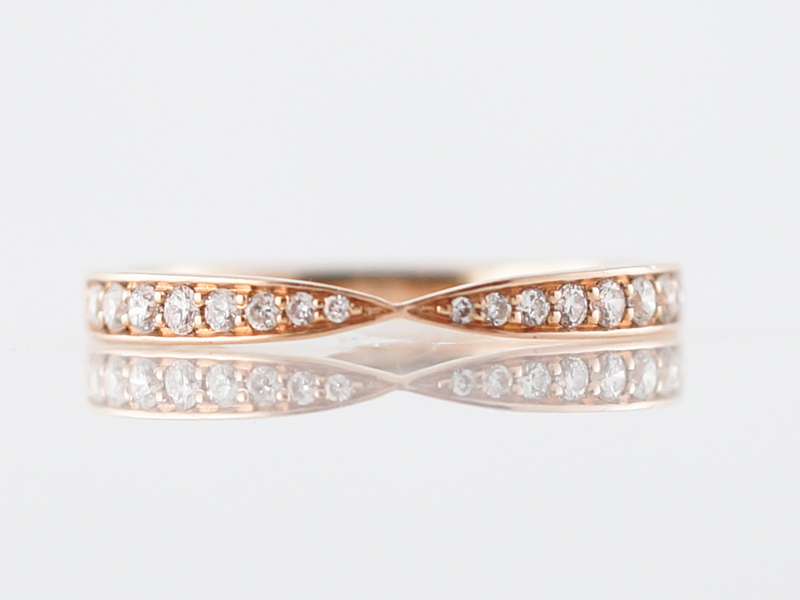 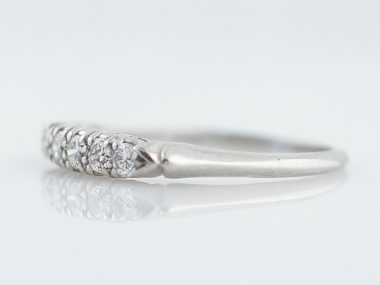 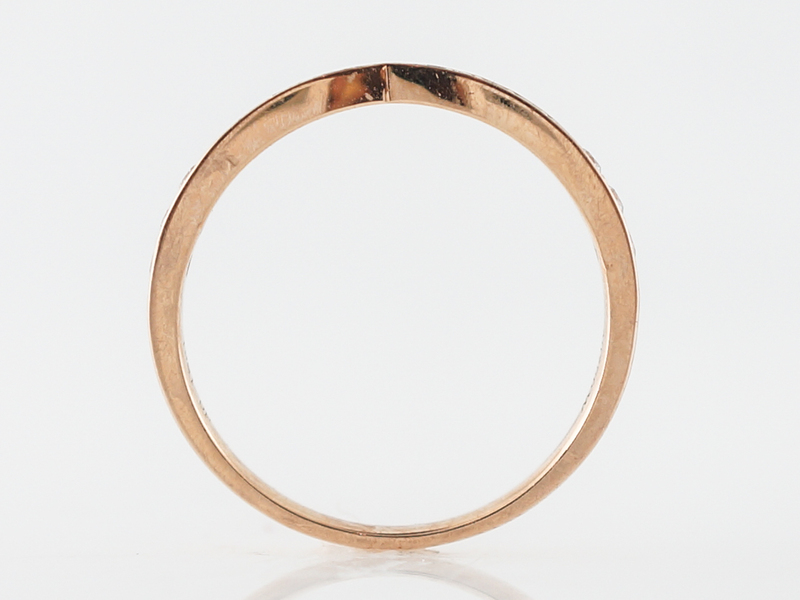 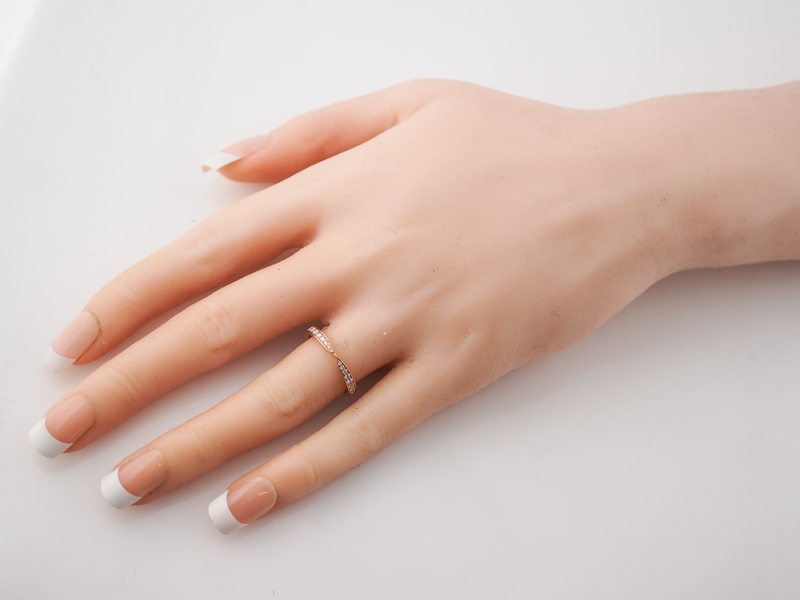 A wonderful ring to pair with a rose gold engagement ring or even a white meta if your looking to mix and match tones.